After the highly successful Iron Man 3 earlier this year, Marvel took no time for a break, with the imminent release of Thor: The Dark World. Our hammer-wielding Avenger returns as a new evil rises in Malekith and the dark elves, who plans to plunge the universe back into darkness. Not only that, Thor must also ask help from his imprisoned step brother Loki, who has been a villain in his past two appearances in Marvel movies. What intrigues me the most from this movie will be to what extent Loki helps Thor, and if he will actually redeem himself, or return to evil in the end. 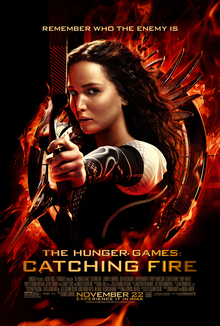 The first Hunger Games movie was a huge success. In terms of story and action, it was great. This next one looks to build up on the first one, and despite my definite decision to watch this one, the trailers further convinced me that this one is going to be bigger and better than the first. With the games' president turning out to be evil, threat seems to be everywhere for our young heroes. But the fact that blows my mind away is that the 75th Hunger Games in this movie will consist of past victors, and when Haymitch said "Last year was child's play, this time you're dealing with all experienced killers", that's when shivers went through my spine, and I thought to myself, this is going to be epic. Another science-fiction in the mix, and one which is also based on a well-known novel. The story is about one young teenager who sees and thinks differently than others, and have the potential to save the world from the alien invasion. 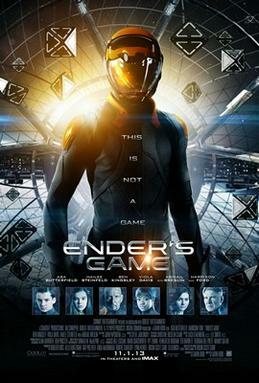 One of the few movies this year that initiates a new potential franchise, which if it succeeds, could spark upcoming sequels based on the many books already written by writer Orson Scott Card. Not the one I'm most looking forward to, but given the stellar cast in Harrison Ford and Ben Kingsley, and the cool-looking trailers, I'm curious to see what this one has to bring.